Floor lamp of ceramic components, faux marble, and/or gold luster brass, and steel components. 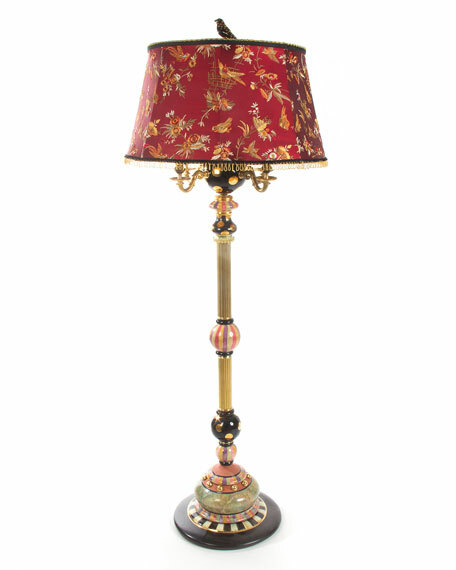 Hard shade covered with red silk embroidered gold fabric lining. Uses four maximum 25-watt type-B candelabra bulbs on lamp arms. Uses one maximum 100-watt type-A bulb in center socket. 24"Dia. x 68"-70"T (shade height is adjustable).